We want to keep kids safe – so we are giving away bike helmets at certain times each day at Mountain Fair. Thanks to Nick at Aloha Mountain Cyclery and the Garfield County EMTAC for helping us with this great safety project! 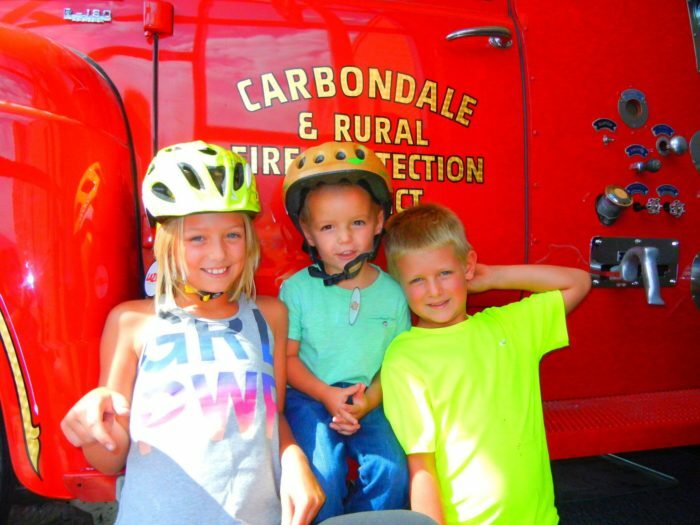 Saturday & Sunday, at 11 am & 2 pm, we will give away 15 bike helmets to kids at our first aid booth. 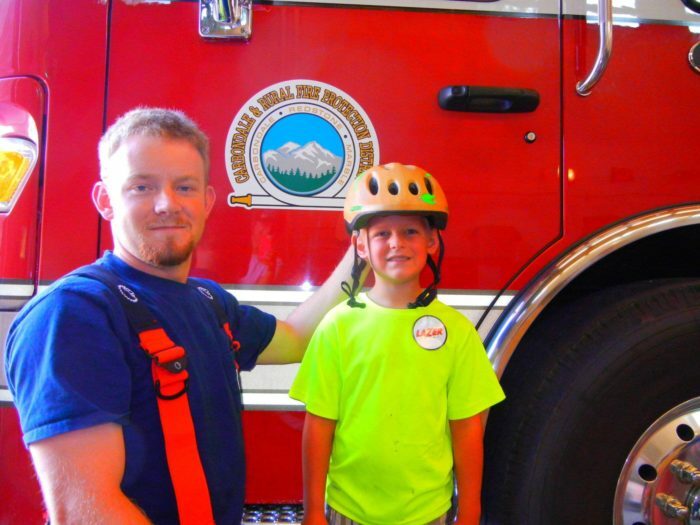 A parent and the child must be there to be fitted for their helmet. The give away will be first come, first serve. The helmet giveaway is part of our commitment to the children’s head injury prevention program. According to the Insurance Institute for Highway Safety, in a majority of bicyclist deaths, the most serious injuries are to the head, highlighting the importance of wearing a bicycle helmet. Helmet use has been estimated to reduce the odds of head injury by 50 percent, and the odds of head, face, or neck injury by 33 percent.